Regrettably, the tireless minority that fights today in India is one that seeks to restrict – and even take away – many of our freedoms. It is estimated that India has over 10 million pet dogs and with a human population of 1.3 billion – this means only 13% of households in India own a dog. 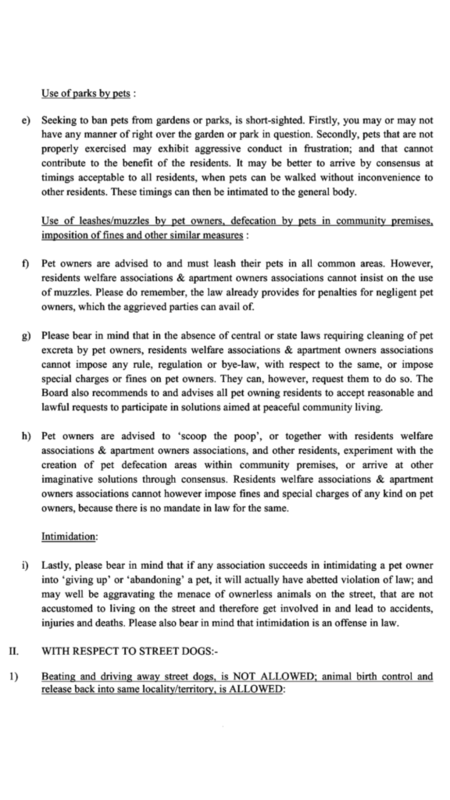 This minority is subjected to daily harassment via illegal bans, banning pets from using elevators, common areas like parks inside an apartment complex and slapping fines for pet defecation from neighbors and inexperienced, misinformed resident welfare association members who may dislike pets, believing that dogs are dirty, dangerous and disease-spreading. Thankfully, the Indian pet laws are progressive and inclusive. But,sadly like it happens all too often in our country, people seldom stand in queues, forget following rules, government laws are often flagrantly flouted. This is an actual email trail shared in the past week between 250+ residents of a well known builder’s apartment complex in Bangalore where the apartment association illegally bans pet dogs(successfully for the past 6+ years) from using the elevators, all common areas including parks inside the complex. This apartment owners association also illegally fines upto Rs 8000 (around US $150) if the pets pee or poop outside, even by accident. The pets are required to be taken outside the complex for walks and also if one has cleared the pet’s poop in poop bags, these bags are not picked up as part of segregated garbage by the apartment’s housekeeping either. Funnily enough, after 4 days of heated exchanges where I had the chance to experience what getting trolled feels like and how I dealt with it (that’s another post)- it turned out that the poop that started this mail trail didn’t belong to a pet dog – but to a stray monkey. I’m gonna have to kiss that monkey’s face when I meet it – if I meet it. Someone’s gotto speak up right? I’m glad I found the courage to do so, thanks to this little monkey. After experiencing first-hand harassment as a pet-lover for 6+ years, this was indeed the last straw for me! 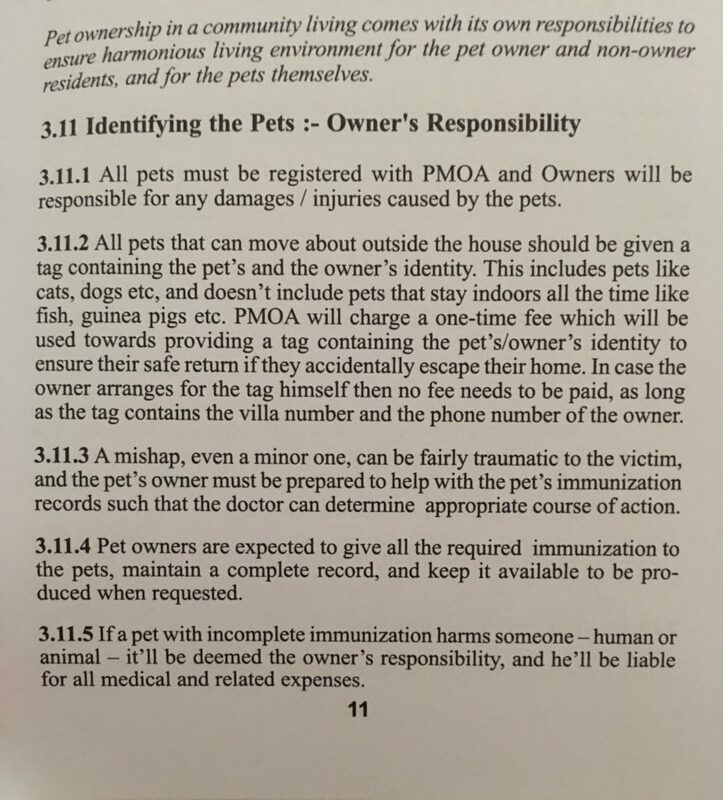 in view of the recent gross incident violating pet policy here are highlighted aspects of the pet policy with no exceptions. All pet owners have to comply. We don’t currently live in the apartment. I’m not sure who the pet owner is that you are referring to but let me clarify on his/her behalf – it’s very natural for a pet to defecate. It’s not a remote controlled robot and its bowel movements cannot be timed. 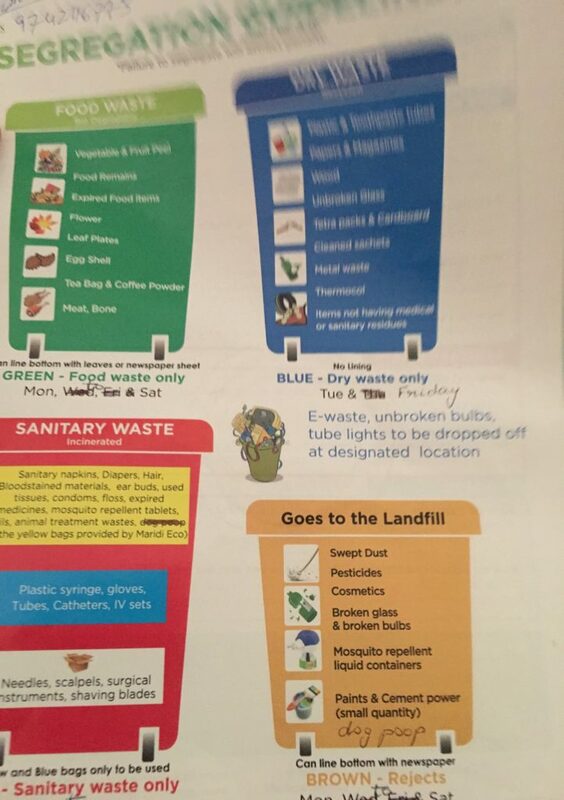 Also, dog poop needs to be picked up as part of ‘landfill’ garbage along with swept dust. So, not sure why that cannot be done by housekeeping when it’s being done elsewhere. Many other older and newer properties have dedicated dog parks and no such pet bans. I’ve shared another community’s progressive pet policy for your reference so you can amend and drop these regressive rules as soon as you possibly can. We were specifically told by the builder at the time of purchasing the apartment that the cricket ground you are proposing to build (which is now locked away and used as a composting area) is a pet park. So, please do give us pet owners our pet park back before you impose these ‘illegal’ rules and fines. I’m a pet owner myself and had ‘never’ taken my pets out in this apartment because of this draconian attitude. However please note what i have reproduced is part of the Residents Handbook. On a note of debate, Would you want Children to play in the area where pets have defecated? Let us have a healthy debate. I have always been appalled at the audacity of some humans “owning” someone else’s life, like the pet owners do. The pet is subject to trauma of separation from its mother at a very young age, forced to live with a strange species (humans) after being sold through a kind of slave trade, tortured in the name of training, chained often, confined to the small space of home most times, its all freedom is taken away from it and is not allowed to freely meet and play with others of its own species. To top it all, these owners call themselves pet lovers!! Oh, sure. I suspect that the crazy laws cited are straight copies of those in the western countries and enacted under pressure from the “pet owners” lobby. In our country no one cares for the inconvenience caused to others who are the silent majority. Then people throw such rule books at your face when you come up with sensible rules to avoid nuisance caused by these pet owners. All the rights are with them – you have no say. But, then again, they are used to trampling upon others’ rights as they have been habitually doing in case of their pets. So nothing new. If, after the request, the members continue with the foul practice then what? Should the majority of residents continue to suffer? Don’t they also have rights and corresponding supporting laws to uphold their rights? The “pet law” cannot be read or applied in isolation; it should be applied in proper context. Here, the rights of majority of residents are ruthlessly violated by a fistful of people. Should the governing Board be a mute spectator and allow this to continue. The “pet law” does not become supreme in such cases as it violates other laws. Strict action is then called for. Unfortunately, if the dog owners does not understand the genuine issue of cleanliness, there will be more hesitation for flat owners to let out for clients if they have pet animals. Dogs have ‘never’ been ‘allowed’ to walk inside the complex (illegal to do so) so the question of ‘assuming’ dog owners not understanding cleanliness issues, ‘ruthless violation’ does not even arise. Let’s please read this from today’s Bangalore Mirror to educate ourselves on how to better run an association that fosters inclusive, harmonious living. The broader message on animal welfare is to let them live their life in a free and fair manner and human beings should not interfere, arrest and confine them to limited space or harm them in any manner for their own personal interests, whims and fancies. The message by the ex-president 2 of apartment association calls out every aspect of it. A law that seems to be against the interest / preferences of larger section of the society would need to be revisited and changed if required (like how the Jallikkattu ban was lifted). Repetitive messages seem to suggest that we should not let our kids play in open areas / lawns and just allow pets to go around defecating there and keep requesting owners to consider lifting them if possible, else sit watching this in silence. In addition these messages also seem to suggest that PNH residents are in a way irresponsible citizens as they seem to violate a “very important / crucial law” and that the society regulations framed by elected members are insane. This is an unacceptable communication. If AWBI says it is law and no fines, how does Brihanmumbai Municipal Corporation (BMC) fine people for not cleaning pet poop? BTW, I would suggest having a debate on this helping the community and inclusivity of residents. As AWBI laws are being quoted, BBMP has pet dog licening by-laws which addresses # of dogs, types of dogs, fines for pet poop, etc in communities. In fact, if you do not have a license from BBMP for such communities, it is not permitted. Despite AWBI’s objection on # of dogs, type of dogs, cleaning pet poop, etc. BBMP by-law did not heed to the objections rasied by AWBI and its chairman. 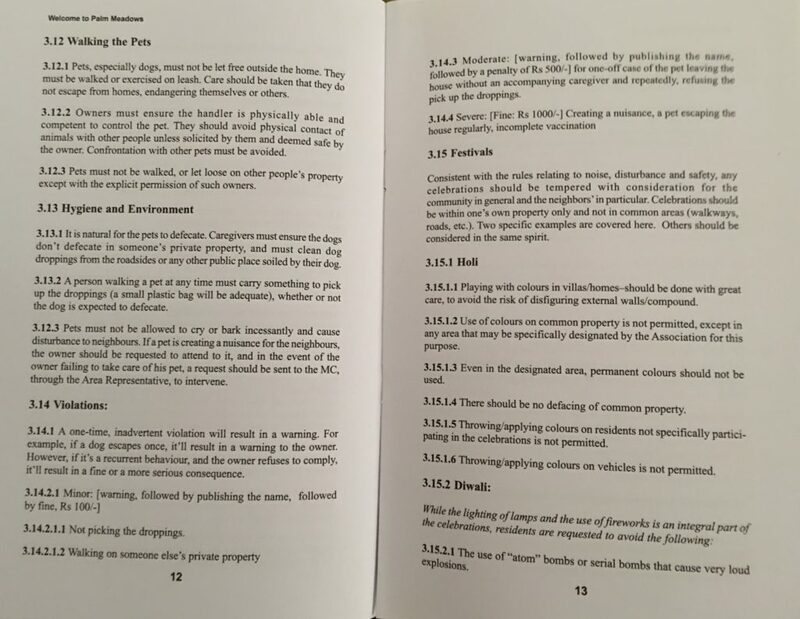 Reiterating that ‘apartment associations’ cannot ban resident pet owners from using common areas or pay fines for walking their pets on apartment premises – it’s ILLEGAL! Pls read the circular attached earlier (AWBI off) which pertains to ‘apartment associations’ NOT civic bodies like BMC or BBMP. IT IS ILLEGAL! And any responsible pet owner only welcomes the proposed BBMP Bye laws – calling for registration of dogs, mandatory sterilization and vaccination, among others. By all means, pls reinforce these rules as any responsible citizen would. However, banning pets from going for a walk, using the lift, housekeeping not picking up bagged dog poop and penalizing residents with hefty insane fines are not reflective of a pet-friendly, inclusive, progressive community. I understand the multiple references to AWBI. It is also voluntary to clean pet poop, etc. What if someone else wants a goat as a pet, a chicken coop as a pet? 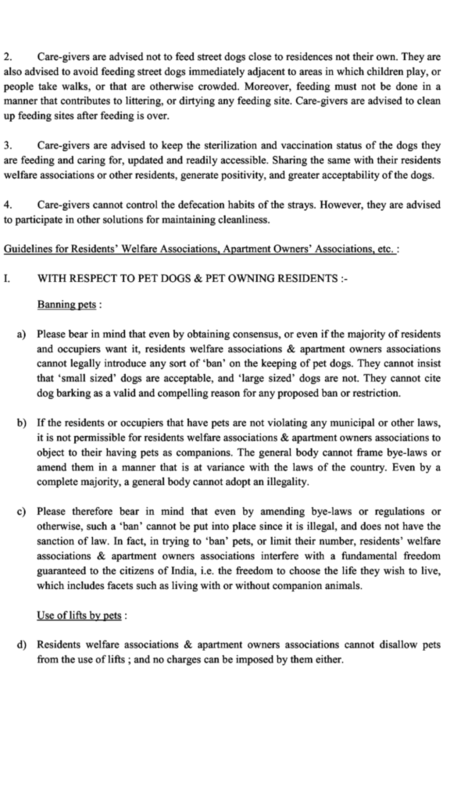 As repeatedly referred to, this pet policy (specifically for pet dogs and prohibiting apartment owners associations from banning dogs from living, using the common areas or fining pet dog owners for defecation) in this apartment is illegal- against the Indian law as reinforced by the Supreme Court. This law is only limited to pet dogs. Let’s please refer to the AWBI circular attached earlier if we have any doubts. The recent dirtying in front of the clubhouse was probably by monkeys and not a pet dog… last week we noticed dirtying “on top” of a visitor vehicle by monkeys. The vehicle was in the visitors parking area (~100 ft from where it was noticed now). Pls do accelerate the process of amending the current illegal pet policy in the interest of every resident – even the silent minority. In the interim it is advisable to pls notify all affected/harassed pet owning residents who have been mute spectators for the past 6+ years, that they can use common areas(lifts,parks) as long as poop is picked up and that new rules will be in place shortly. 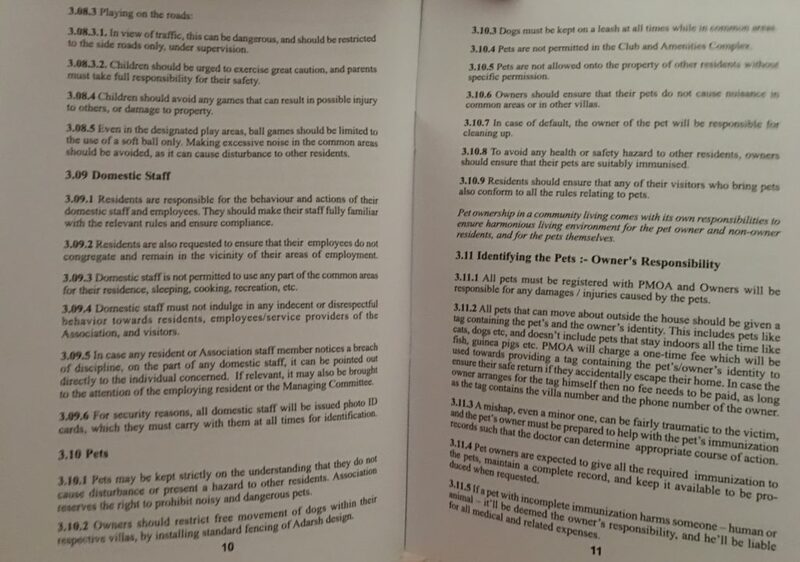 I’ve shared a copy of a pet policy earlier from another community for your reference – so as to guide us in understanding what is ok as a reasonable rule to ensure safety and hygiene for all and what is not ok or illegal. You can also directly reach out to me if needed. I hope you understand that this is not about those who dislike dogs, or an opportunity to offer discourses on what animal welfare actually means to that person or what it needs to be – this is above all that. It’s AGAINST THE LAW. ITS ILLEGAL. Look forward to your solutioning and sensitive handling of this glaring illegality. We will internally review this and come back in some time. To conclude, there are pet-friendly places in Bangalore & India. But, I understand from my friends that this is the result of pet owners having to fight for their fundamental rights, it never came easy. 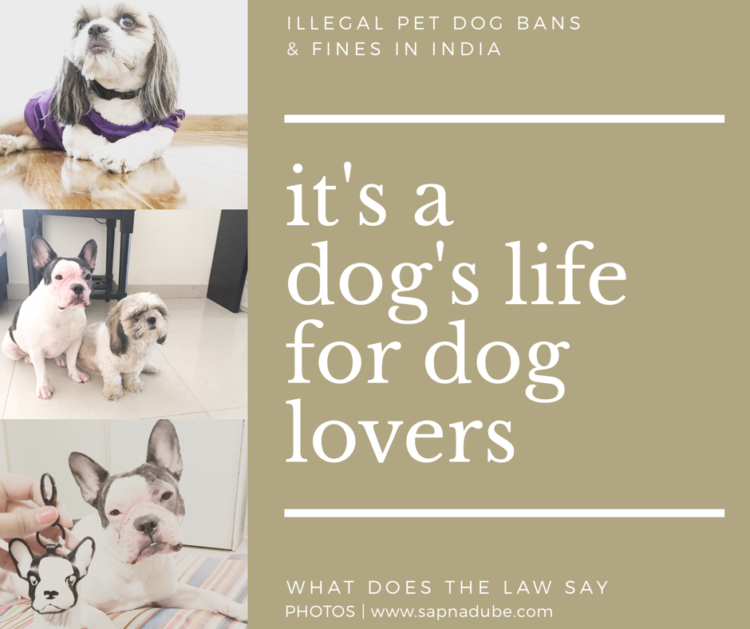 So, if you are a pet owner living in such a restrictive environment, putting up with illegal pet dog bans in India – pls speak up. Your one voice could make all the difference!